Tue., 21 Jan. - Mon., 17 Feb. Sat., 25 Jan. - Mon., 17 Feb. Sat., 25 Jan. - Fri., 14 Feb.
Fri., 24 Jan. - Mon., 17 Feb.
Fri., 24 Jan. - Fri., 14 Feb. Mon., 20 Jan. - Fri., 14 Feb. Thu., 10 Oct. - Wed., 30 Oct. Tue., 8 Oct. - Mon., 28 Oct. Tue., 18 Jun. - Wed., 17 Jul. Fri., 2 Aug. - Fri., 23 Aug.
See all 237 properties in Binhai Intl. 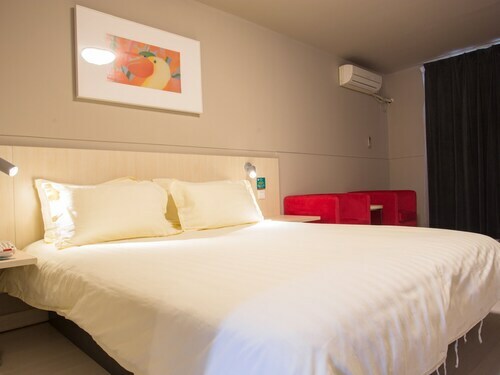 Located in Dongli, this boutique hotel is within 12 mi (20 km) of Tianjin Kerry Centre, Xiao Bai Lou Commercial Area, and Wanghailou Church. Zhongxin Park and Bin Jiang Dao Shopping Mall are also within 12 mi (20 km). 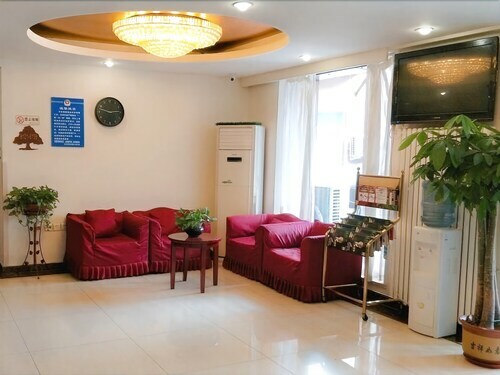 Located in Dongli, this hotel is within 9 mi (15 km) of Xiao Bai Lou Commercial Area, Tianjin Kerry Centre, and Zhongxin Park. Bin Jiang Dao Shopping Mall and Marco Polo Square are also within 9 mi (15 km). 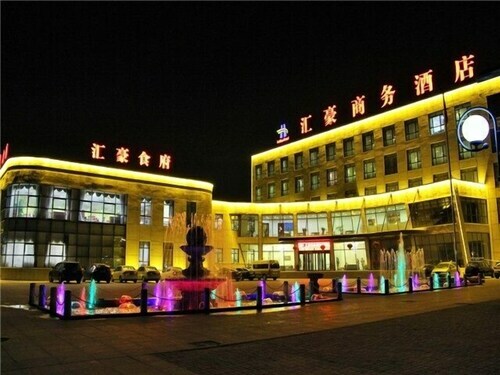 Located in Dongli, this hotel is within 12 mi (20 km) of Happy Valley Tianjin, Tianjin Kerry Centre, and Xiao Bai Lou Commercial Area. Wanghailou Church and Guwenhua Jie are also within 12 mi (20 km). 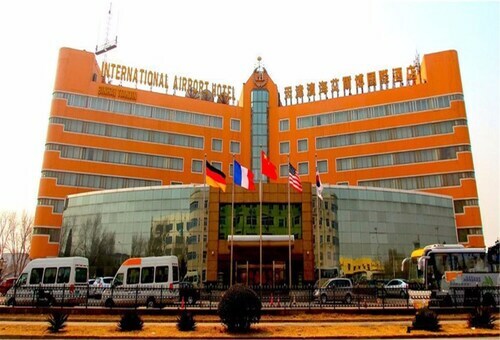 Located in Dongli, this luxury hotel is within 12 mi (20 km) of Happy Valley Tianjin, Tianjin Kerry Centre, and Xiao Bai Lou Commercial Area. Wanghailou Church and Zhongxin Park are also within 16 mi (25 km). 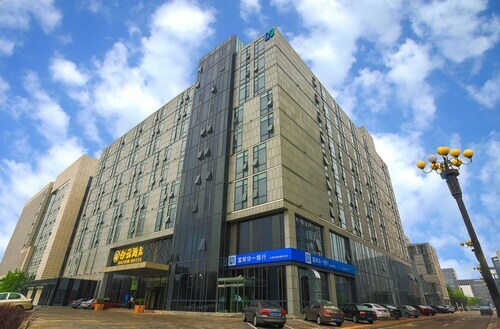 Located in Dongli, this hotel is within 12 mi (20 km) of Tianjin Kerry Centre, Xiao Bai Lou Commercial Area, and Wanghailou Church. Guwenhua Jie and Zhongxin Park are also within 12 mi (20 km). Dengzhoulu Station is 23 minutes by foot. 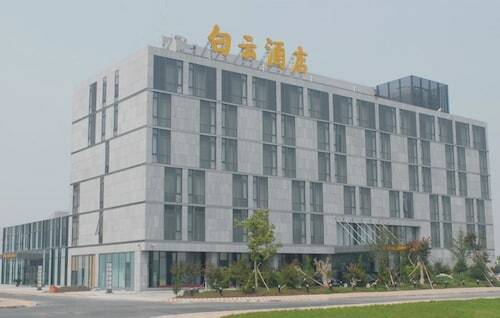 Located in Dongli, this hotel is within 12 mi (20 km) of Xiao Bai Lou Commercial Area, Tianjin Kerry Centre, and Zhongxin Park. Bin Jiang Dao Shopping Mall is 12.2 mi (19.6 km) away.